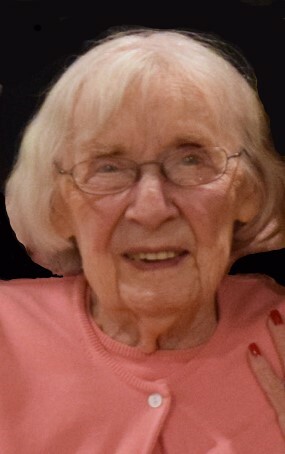 Helen C. Rankin, 92, passed away at home Wednesday, September 12, 2018 in Dayton, Ohio. She was born March 27, 1926 to the union of George and Clara (Barcus) Cardinal. Originally of Aurora, Ohio, Helen is survived by one daughter, Patricia Kanuckel (Rob) of Dayton, Ohio; one son, Michael Rankin (Nancy) of Fort Atkinson, Wisconsin; five grandchildren, Jason Blain, Sarah (Dan) Wells, Ashley (Jason) Baughman, Hannah (Joey) Pausma, and Luke (Angie) Rankin; five great grandchildren, Karson Wells, Raelyn Wells, Ethan Baughman, Jack Baughman, and Nora Baughman; two sisters, Evelyn Brenner and Martha Wuthrick; and a host of other family and friends. Helen was preceded in death by her parents, George and Clara Cardinal; one daughter, Kristine Rankin; one granddaughter, Jillian Kanuckel; one sister, Louise Cardinal (Schwartzhoff); and four brothers, Louis Cardinal, George Cardinal, Robert Cardinal, and Kenneth Cardinal. Memorial Service will be held at The Church In Aurora, 146 South Chillicothe Road, Aurora, Ohio 44202 on Wednesday, September 26 at 5:00 p.m. In lieu of flowers, please make donations to Hospice of Dayton, 324 Wilmington Ave, Dayton, Ohio 45420. To make a donation please call (937) 258-5537.